Are you one of the 30,000 residents of Kennesaw? More than 11,000 homes and many have busy schedules lust like you. Even if you have a busy schedule, there’s no reason why your home can’t look its best. Image Maids provides Kennesaw maid services that are completely flexible. We know that cleaning can be a time-consuming chore, and we want to help you to relieve your busy schedule by providing house cleaning services that you can trust. We want to help you to relieve the headache and tension of not having enough hours in the day to clean. Our housekeeping experts will clean your home just as you would do, if you had the time. We handle keeping your home clean - now you can get out of the house and enjoy all Kennesaw has to offer! 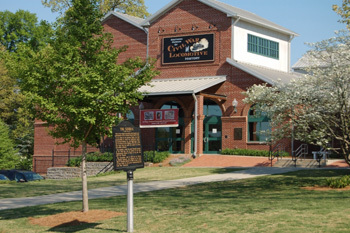 2007 selected by Family Circle magazine as one of the nation’s “10 best towns for families”. 2009 Newsmax magazine listed the city among the “Top 25 Most Uniquely American Cities and Towns”. City is perhaps best known nationally for its mandatory gun-possession ordinance. We offer many different cleaning services, including core services, basic cleaning packages, and deluxe cleaning packages. We will definitely work with you to come up with a cleaning plan that best suits your home and schedule. The bathrooms and kitchens are the areas where the most people spend the most time. Our deluxe cleaing services focuses on these high traffic areas of your home. Plus, with Image Maids, you get the benefit of our on-site supervisors who make sure that by the time we’re done, your home is as sparkling clean as we like ours to be. This level of quality control is just one way we stand out in Kennesaw. We understand that you are unique, and so is your home. We are more than willing to add to or adjust our deluxe cleaning services based on your requirements. We are here to provide you with the best possible services at all times, regardless of whether you have us in to clean your home once a week, once a month, or somewhere in between. Don’t put off having the clean home that you want anymore. Just give Image Maids a call at (770) 627-4670. We’ll be happy to assist you with quotes, appointment scheduling, and answering all of your questions. We look forward to serving you.